Fix-a-Frame has been involved in the industry since 1991 and employs fully trained and experienced staff. The craft of professional jersey framing in high-quality custom frames is a difficult one. It is a very intensive process that requires skillful and precise ironing and pinning of the jersey. In particular, the pinning must be done carefully using specially designed stainless steel framing pins that not only will secure the jersey to the matting but will also not damage the jersey in any way. 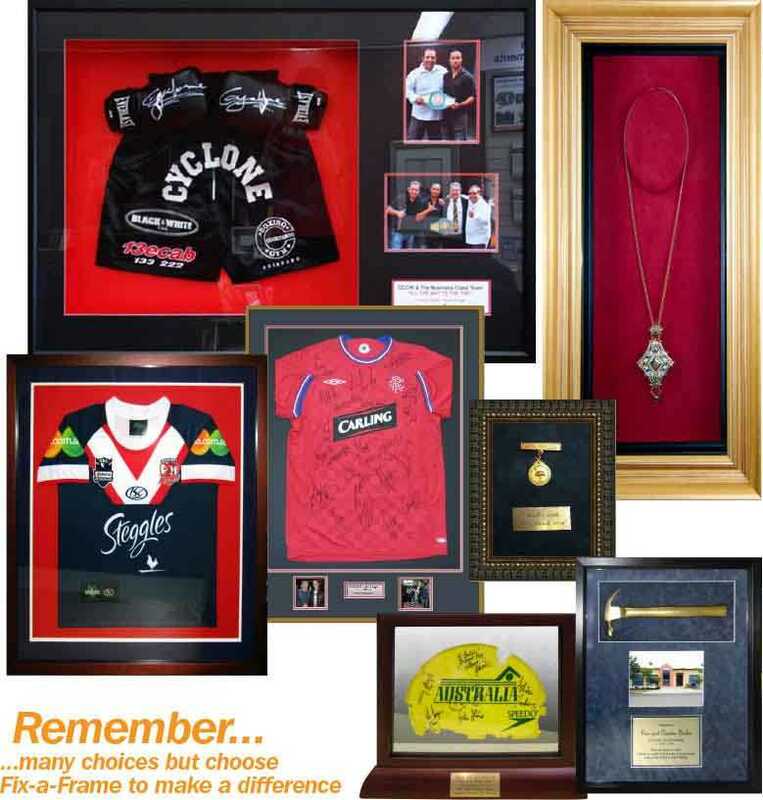 Our framers have years of memorabilia framing experience, framing for corporations, athletes and professional teams. As such we have mastered the craft of creating custom box framing solutions for any kind of shirt, jersey, collectible or object. At Fix-a-Frame, we choose premium materials for our custom frames and custom display cases. We only use high-quality frames, matting and mouldings, and acid-free archival backing. Available options include beautiful selections of framing, special UV-protective glass, suede and colour-matched matting, and engraved plaques. 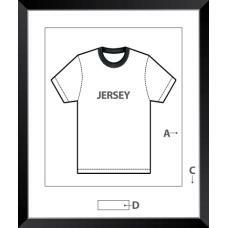 Jersey Frames are cut to take a standard large football jersey with the sleeves folded. They include acrylic glazing, mat boards, backing boards, stainless steel pins and fittings to hang the frame.